It all began with a Bento Box lunch during IBC. Between the tender Toro and the glistening Ikura at Michelin starred Yamazato Restaurant, Winfried Scherle had enlisted Kazuto Yamaki and me to join an expedition in search of a common mount for the next generation of full frame (24×36 mm) cine cameras and lenses. FDTimes was asked to be the Switzerland-neutral moderator of an informal discussion to be held at Photokina two weeks later. But first, a bit of background and history. Mr. Yamaki, President of Sigma, had just introduced a new line of Full Frame and S35 cine lenses with interchangeable mounts during IBC 2016. Dr. Scherle, Head of ZEISS Consumer Optics, had launched their line of CP.2 and CZ.2 Full Frame interchangeable-mount lenses in 2010. 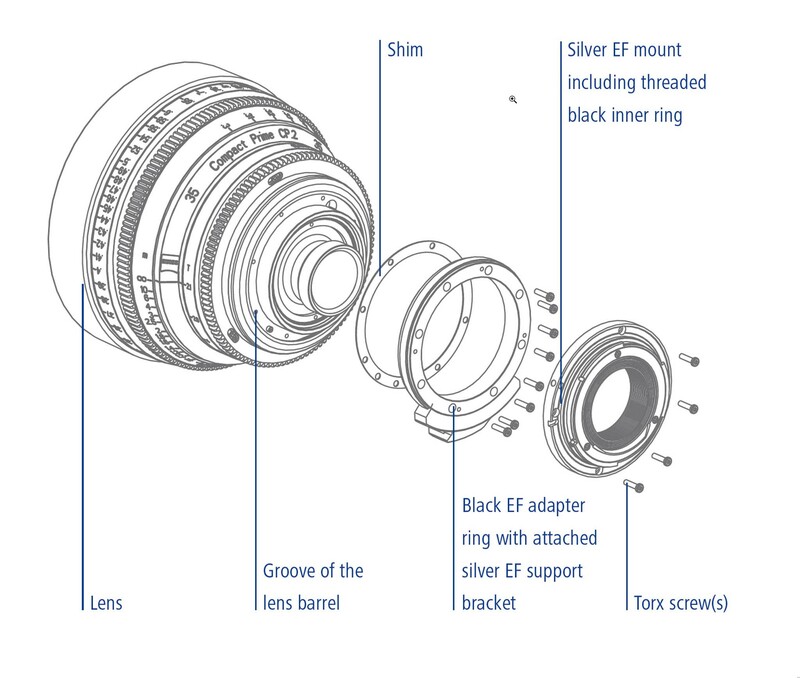 Interchangeable lens mounts were standard on Schneider Optics Xenon FF-Primes, Angenieux Zooms (including the new EZ Full Frame/S35) and Cooke MiniS4/i primes. Uh-oh. What was I walking into? 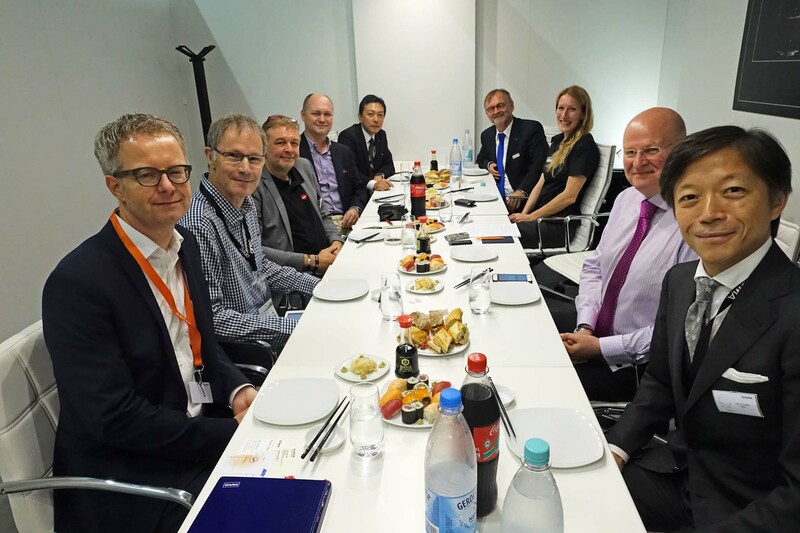 At high noon on September 22, representatives of many of the world’s prominent lens companies convened in the oasis of Sigma’s meeting room at Photokina. Some had specifically flown in that day, others had nicely rearranged their schedules. 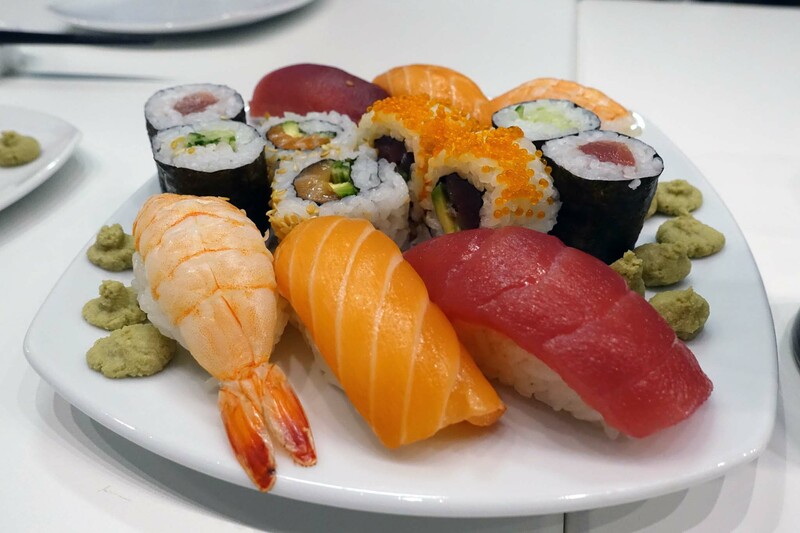 Perhaps the prospect of a superb sushi lunch catered by Sigma, and rumored to be the best in Cologne, was an added incentive. Because of the short notice, we had agreed to limit the round up of usual suspects for this first meeting to lens companies, although clearly there were overlaps. Next time we’ll plan further ahead and try to be more inclusive. Gerhard Baier, Managing Director of CW Sonderoptic / Leica div. The opinions expressed here represent the individuals, and not necessarily their companies. Thank you all for coming. Mr. Yamaki and Sigma, thank you for providing this meeting space and fine sushi. Two ingredients contribute to a happy meeting: keeping it under an hour and having good food. I hope we shall continue these meetings in the future. We are at an interesting waypoint in the journey of cinema. Full Frame (24×36 mm) approaches rapidly. I think we all appreciate, at IBC and here at Photokina, the large variety of Full Frame cine lenses from ZEISS, Schneider, Sigma, Leica, Canon, Sony, IB/E, Samyang, Tokina and others, as well as larger format lenses from ARRI and Panavision. Cinematographers are delighted by the ever-increasing choices. The lens is the DP’s brush. It is also one of the unique ways a cinematographer has to distinguish his or her work from that of others. It’s also true that few cinematographers have ever been immune to a malady called “retrofit syndrome.” No cinematographer was ever satisfied with a product as is. So we are using vintage lenses, distressed lenses, recoated and decoated lenses, and larger format lenses. You can imagine the thrill of roaming the vast halls of these trade shows and discovering new still photography lenses from Leica, Hasselblad, Fujifilm, Nikon, Phase One and more. I think that amounts to at least 12 different, incompatible lens mounts. There are even different mounts from the same manufacturer. Leica has SL, M and S. Sony has E and A-mount. Canon has M and EF. Hasselblad now has mirrorless XCD along with H and V. ARRI has PL, XPL (Alexa 65), Maxi PL (Arriflex 765). 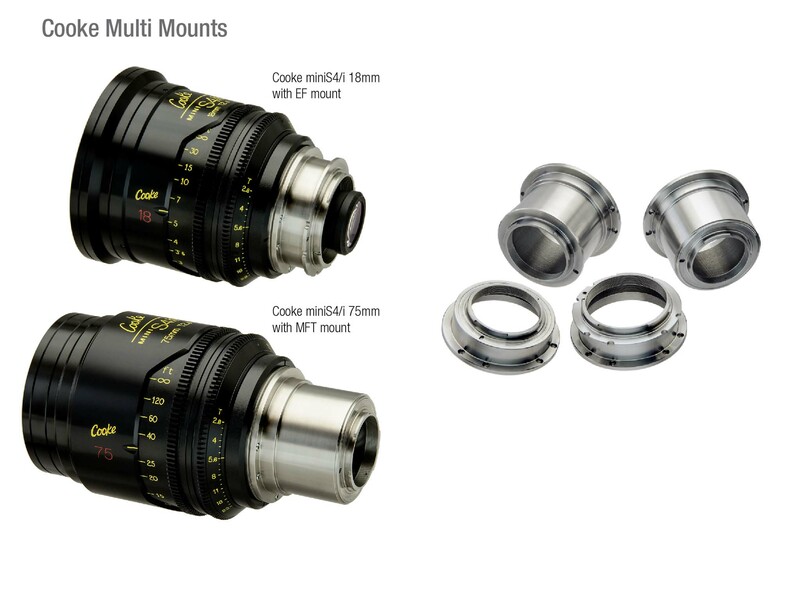 It’s a good time to be in the mount adapter business. In the history of cinema, we never really had standard. We had the Mitchell mount, Eclair, ARRI standard, ARRI bayonet and eventually ARRI PL in 1983, Panavision PV, Panavision SP 70, Panavision System 65, Canon EF, Sony E, Nikon F, and so on. 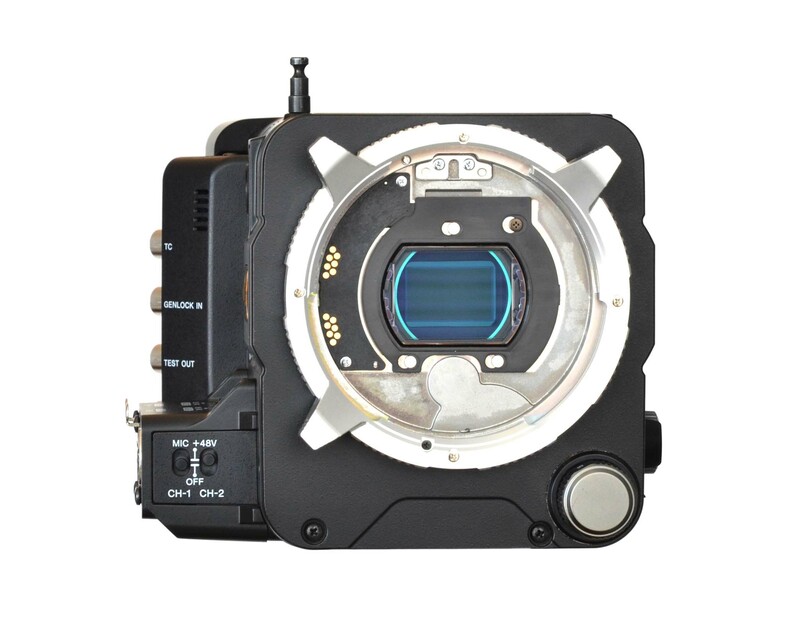 To address this, P+S Technik introduced their Interchangeable Mount System (IMS) for cameras in 2008, ARRI showed a concept for Alexa in 2010 called ELM (Exchangeable Lens Mount), and IB/E Optics introduced a Universal Mount System (UMS) for lenses in 2013. As manufacturers, I imagine you have been watching all this with a degree of horror, or maybe amusement. Wouldn’t it be nice manufacturers agreed to make it simper for users to work with all the different choices of next generation cameras and lenses? The days of using just one camera system and one lens system are over. Cinematographers are willing to try almost any kind of lens to achieve a certain look to tell the story. The cart is before the horse this September 2016. We have lots of Full Frame lenses, but only a few Full Frame or Large Format cameras. There’s Alexa 65, Panavision 8K Millenium DXL, RED 8K VV, and Sony a7S. I am sure we are going to see more. We agreed to keep this discussion informal and to publish the discussion so that users and manufacturers might respond. You did not want to turn it over a technical committee at this point in time. Let’s go around the room for some general thoughts about the future of lens mounts for cinema. My motivation for this meeting comes from the customer perspective. Customers use different camera systems for various applications. We manufacturers cannot force them on the customer. It’s up to them to decide. They may use an ARRI, RED, Panasonic, Sony, Canon camera or something else. It’s also up to the customer to choose the lenses: Cooke, Fujinon, ZEISS, Leica, Sigma, Panavision, ARRI, Schneider, etc. Of course, each of us, as manufacturers, would like to be in the first position, but the competition should be according to performance and not be protective. I think if we decided on a common mount for the new Full Frame format, others would join us. New companies are coming. I think the customers will decide which combination they like. It would be best to agree upon a standard mount. That would ensure more resources to be available for development in the industry, which would be more beneficial for all of us. I truly believe in this and I would really appreciate it if we could offer the industry a common standard. I am convinced it would benefit everyone. I have been in charge of digital cameras for almost twenty years. 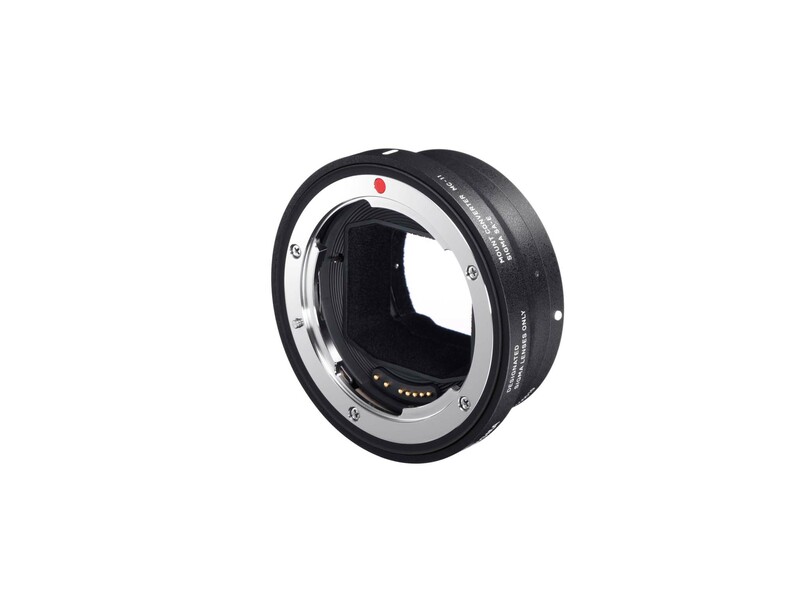 Our mirrorless still cameras have the X-mount, which has a Flange Focal Depth (FFÎ) of 17.7 mm. Here at Photokina, we just launched a new medium format GFX camera with GX-mount (26.7mm FFD). Today I would like to learn a lot from you. I totally agree with Dr. Scherle. We should listen to customers’ opinions. Customers should help us establish a common standard for the industry. We at ARRI are a camera manufacturer as well as a lens manufacturer. When it comes to standards, we already have a common standard in our world: the PL mount. It was introduced by ARRI in the 1980s and it became an open standard. But, I think we need to be very careful when talking about new standards. There are already many thousands of PL-mount lenses out in the market and people love to use these lenses. Lately, we have seen a big trend in vintage lenses and older lens with different mounts getting rehoused in a PL mount. We should not forget that. At the end of the day, it’s not pure mechanics, it’s the style of the lens. Many DPs enjoy the fact that they can use a lens that is 40 or 50 years old. When it comes to standards, we, as a camera manufacturer, know the problem. 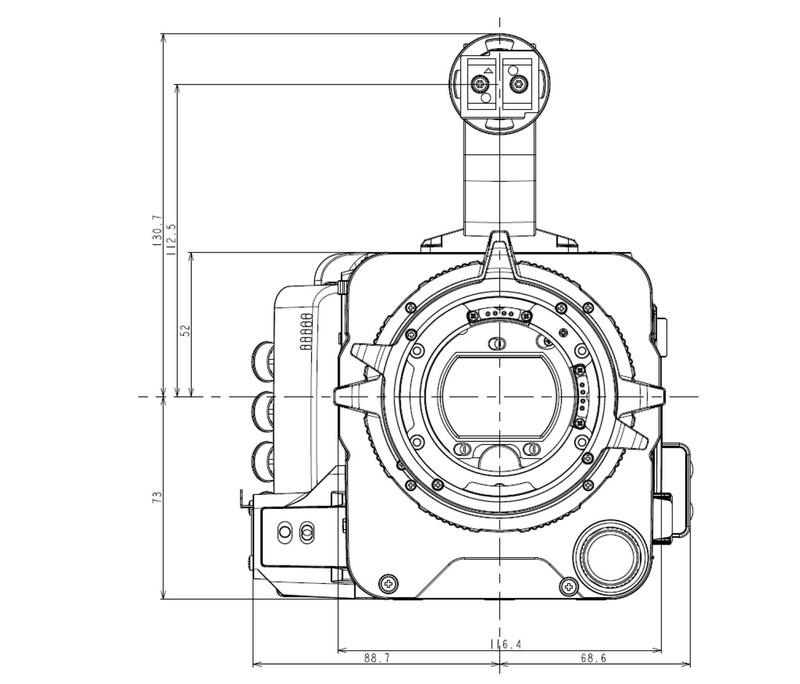 When we introduced the ARRI Amira and Alex Mini camera, it was designed with a kind of open standard lens mount. You can exchange the front mount from PL to Panavision and Canon. Panasonic has PL and Canon mounts for their VariCam, as does the new Canon C700. It’s a matter of unscrewing and replacing the mount. It’s very well accepted in the industry. So I’m afraid we might be discussing a problem that might not exist, and putting a lot of effort in something that clients will not accept. 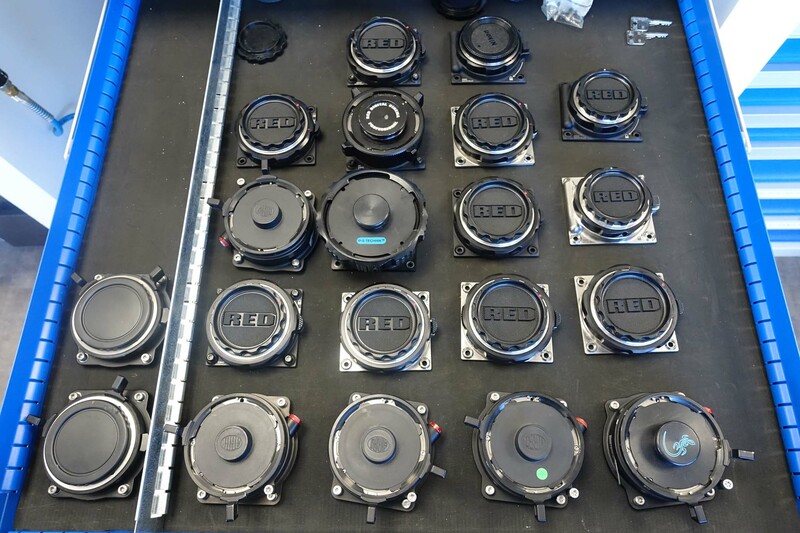 At Schneider Kreuznach, we don’t produce cameras, we only do optics, and we try to serve our customers with as many mounts as possible. Designing a lens for all the different mounts gives us some limitations. We try to plan as much as possible to offer all the mounts that our customers request. But, after a lens design is finished, it’s not always possible to adapt it to any mount. From our viewpoint, the cinematographers who use our lenses work with them on many different types of cameras. Therefore, I think it could be a good thing to move in the direction of an industry standard. CW Sonderoptic is the sister company of Leica that makes cine lenses. We don’t make cameras, we only make lenses. With our cine lens products we decided to go with the PL mount, as this has been the standard and still is. But, now we realize that with more cameras coming into the market, and with modern sensor designs, cameras are getting smaller and people are looking to have smaller lenses to allow them to do what they want. Sometimes they ask us to remount existing Leica still photography lenses to other mounts. This is often a complicated matter because the Leica M lens flange depth (27.80 mm) might be too shallow to fit on many cameras, like the ARRI Alexa. 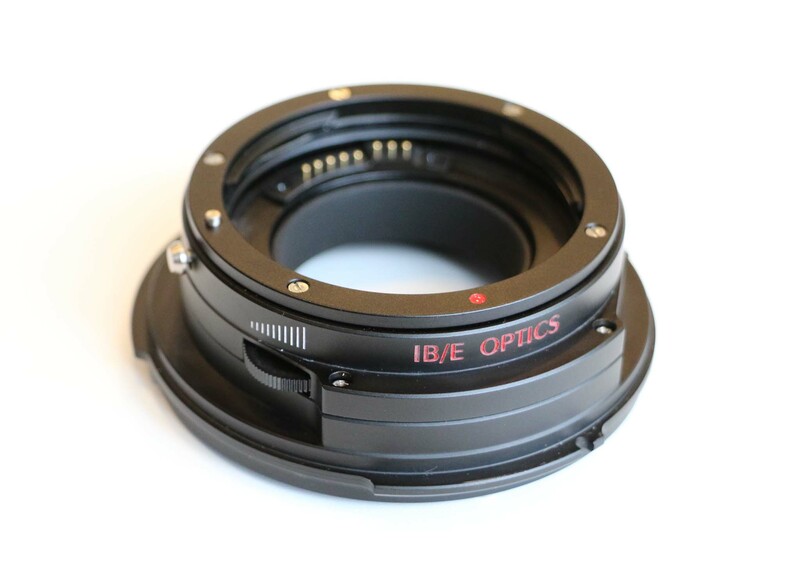 On the RED, we’re working on supplying a new OLPF that accepts M lenses. Leica R lenses have been retrofitted and rebarreled with PL mounts, but this is complicated and expensive. From the lens manufacturer side, we would like to see a new standard that allows us to avoid expending a lot of effort just to make the lens fit. There are applications where we might want to make smaller lenses that are no longer tied to the PL mount. For example, our SL System lenses have a flange focal depth of 20 mm. Obviously, that won’t work on a 52 mm PL mount camera. It only works the other way around by putting a PL adapter on an SL camera. We would like to see a standard and would work on a committee to help in this regard. I would also like to bring another matter to the table. Let me talk about a QC standardization among the lens manufacturers and rental houses. Some of us inspect our lenses with a 60-watt light bulb, others with a parallel beam projector, others with fluorescents—but if you visit a rental house, you often may find them inspecting their lenses with a 400 watt light bulb or an LED source, or something else. It would be good if there were a common agreement on lens inspection. From Cooke Optics’ point of view, there has to be change in the marketplace. Standardization is often a very good thing. As sensors get bigger, the lens mount needs to get bigger and that’s going to happen in the relatively near future. I think we have to give the customers a choice. We also have to bear in mind the number of mounts in the marketplace on various cameras. We have to make sure that the choice we give customers includes not selling them a lens that weighs six to eight kilos that they will be putting on a camera that weighs half a kilo. That would result in mounting the lens on the tripod, and not the camera. It’s very important that we make sure the lens and the camera are stable together as a working unit. Another point I think somebody brought up was that all of the lens manufacturers in the room have a legacy estate which we have to take along with us. So whatever we do, we have to take that legacy estate with us. The lens manufacturers will have thirty, forty, fifty, sixty, seventy-year old lenses out there working. Cooke certainly do and we need to take all of that legacy with us whatever we decide to do as a standard. I think Gerhard brought up some good points, from a point of view of lens inspection. I think it’s really critical because every rental house around the world considers themselves to be an expert on lens inspection. We all know that. They are. Every newcomer into the marketplace is also an expert on how to inspect a lens and tell us how bad it is or it isn’t. The other thing I would probably add is that every rental house considers themselves to be an expert on back focus, and they do seem to approach it differently, so that is a really critical thing for us. I’m not sure whether we will ever change that in the market place. I think that there are some additional things that we can add into this discussion that would benefit us all. I run Panavision’s European Operations. I’m not the lens designer in the room, I’ll be the first to admit it. Our optics team in Los Angeles is headed by Dan Sasaki. I would go along with two points mentioned so far. One: that we have to bring the PL standard with us. It’s here, it’s been around for a long time, and it’s crucially important that we are able to use legacy lenses. That’s what the customer will demand. But equally, I also agree that we require a larger lens mount. Indeed, Panavision’s SP 70 lens mount was designed because we recognized that, as sensors grew in size, we would need to make a larger mount to accommodate that. We actually changed our back focus to 40 mm FFD from the earlier standard Panavision PV mount of 57.15 mm – recognizing the criteria that Gerhard raised a minute ago. We think that is the correct way forward. I know that we are not necessarily talking about metadata today, but we can’t ignore it. I think metadata is part and parcel of lenses of the future. In some respects, the motion picture industry is catching up with aspects of the stills market in terms of the information the lenses can provide: talking to the camera or with built-in motors as well. That’s something we’ve not had in the past in the movie industry. I think our clients going forward will expect that. Certain things like the dual pixel sensor of Canon C700 and C300 Mark II show the way in which camera technology is going to change going forward. Therefore, the way we think the lens relates to the camera for focusing will change. We will require a bit more flexibility in the way we approach lens design. I say that not as a lens designer, although Panavision, as everyone knows, designs its own lens as well as cameras. But I say it also as somebody dealing daily with customers who use a multitude of lenses from all of the manufacturers sitting around this table. The cinematographers do want a choice, they do want to stamp their individuality on the production by mixing and matching, as we call it. I think that all of us here can only benefit from basically recognizing it and advancing a common standard that the end user can adopt for the future, like they have had with the PL mount to date. Jeff, it might be interesting for the group to hear your views on how formats will mature. It’s generally our view at Panavision, as a rental company with operations around the world and thinking about cameras for the future, that standard 35mm as we currently know it in the movie industry, with an 18×24 mm image area, will be used like the current 16mm format. And, Vista Vision, or should I say Vista Vision Mark II, because it is slightly smaller with a 24 x 36 mm image area, will become the standard for what used to be 35mm cinematography. In fact, we had this conversation with ARRI engineers when they came around to us last year. Of course, above that, you’ll have larger format cameras like the Alexa 65. But I think that Full Frame 24×36 mm will become the de facto format for feature filmmakers, and Super 35 format will predominantly remain the domain of TV. Sigma Corporation is quite new to the cine market. We have just announced our cine lens series last month and we will make a very soft launch of our products by the end of this year. We will fulfill the global deliveries by next spring. So, my knowledge is very limited. I just want to give a very general and personal opinion. When I started the investigation of this market, I was very surprised to learn how liberal the cine world is. Customers may choose any camera, like an ARRI, Panavision, RED, Blackmagic, and so on. Then they are able to change the mount and use any lens they want: ZEISS, Cooke, Angenieux, Schneider, and so on. It’s a great freedom of choice. In the case of still photography, camera users are very loyal to the camera brand. Sigma was called a kind of “third party” and there has been a bias against the independent still photography lens manufacturer. So, I thought how wonderful the cine market is. I think it’s quite natural for cine people to discuss a universal mount or standard mount. In the case of still photography, that is quite difficult because there are so many electrical contacts between the camera and the lens. It’s not easy to switch the mounts. But in cine, the customer switches freely, so we have the basis to discuss a standard. I think it’s a great opportunity from the customer perspective. There’s a great customer benefit, so I think it’s worth discussing. I was personally involved in a standard for the still photography industry: the Micro Four Thirds (MFT) project with Panasonic and Olympus. I found it quite difficult to discuss a standard mount with multiple companies. So, if we move forward it’s very important to share the goal we would like to achieve. In still photography, there are actually two semi standards, from which most other mounts can be adapted. One is the Micro Four Thirds mount, and the other is the Sony E-mount. If we agree on a standard, it should be to benefit the customers and it would be good if we might be able to achieve it. Sony is a manufacturer of still and cine cameras, and is also a lens manufacturer. We would enjoy working together with all of you in order to provide customers the choices you mentioned before. In the movie industry, it’s all about the combination of lenses and sensors for the cinematographer to create the look they want to achieve, and this combination is the key. I think it is very important that we continue to be open to PL lenses, obviously. But we also see that cameras are getting smaller. Our Alpha 7 cameras with their E-mount is becoming quite popular because of size and what you can do with it. It’s great to see, here at Photokina, that many manufacturers are providing lenses with E-mounts or adapters that offer flexibility of choosing cameras and lenses. We understand that the cinema industry currently depends on Super 35. But in the still photography world, and increasingly with still cameras that do video, the Alpha Full Frame series cameras are increasingly popular. It’s important to continue this good relationship and that is why I’m here. If I may play the role of devil’s advocate, or the devil of a DP in the details, I have some comments and criticism from the point of view of a cinematographer. If I were Winfried Scherle, Daniela Kesselem, Alan Merrills or Kazuto Yamaki, I would be delighted because there’s never been a better time to be in the lens business. In addition to rental houses, more and more owner-operators are purchasing your lenses. Each of you have an interchangeable mount system that offers flexibility and a somewhat future-proof protection of investment. Your mounts can be swapped by unscrewing some screws and replacing the it with PL, EF, F, E, MFT, and so on. Now let’s imagine you’re the DP doing a car commercial in the frantic moments of losing the last lingering light before and during magic hour, when the sunset always seems to happen faster than usual. You have precious minutes to set up the camera with your favorite 800mm f/5.6 Nikon telephoto on an Alexa Mini with an aftermarket F-Mount. You immortalize the most beautiful sunset shot the world has ever seen, with the hero car skidding through dust against the orange-red sun. The next setup is wider shot with an Angenieux 24-290 PL mount zoom. Do you really have time to unscrew the F mount, possibly drop one of the screws in the sand, swap it for PL, check flange depth, continue to the next shot, which calls for a Canon EF-mount fisheye, followed by PL Master Primes as you scramble for the last vestiges of light? No, you probably have rented a separate camera for each lens mount you have, which is why the producer is looking so unhappy. ARRI, RED and other camera manufacturers provide front ends with mounts that can be swapped by unscrewing four or more screws. But wouldn’t it be a lot easier and more efficient if you could use adapters instead? Claus, I love the Sony E-mount because of its 18mm flange focal depth that provides the flexibility of adapting almost any lens in the universe. But the E-mount is a bit flimsy for heavy lenses. It’s especially not robust for bouncing around on a camera car without superb lens supports. So let me offer an idea. Would it be possible for us to have a universal breech mount similar to the one on lens projectors, or like the Sony F55 FZ mount, but smaller in diameter—a very durable and secure locking ring that uses adapters for any lens you desire? Would it be possible for it to have a flange focal depth of 18mm? It should have a safety catch so you can’t mistake it for the actual lens mount. The adapters would be pre-calibrated, as they are on lens projectors and the FZ mount. Otherwise, when we do come upon the new era of Full Format, it will be like the Wild West. It might even be like the Hateful Eight, with at least eight totally new mounts. 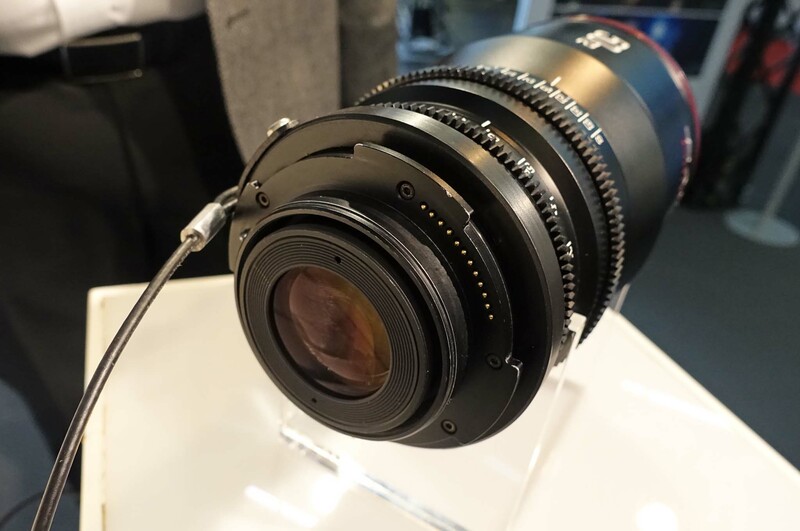 It was interesting to see at Cinec that Vantage Film had taken the ARRI XPL mount (60 mm FFD) for their HAWK65 Anamorphic Lenses, and then modified the depth to 52 mm for use on the RED VV 8K camera. 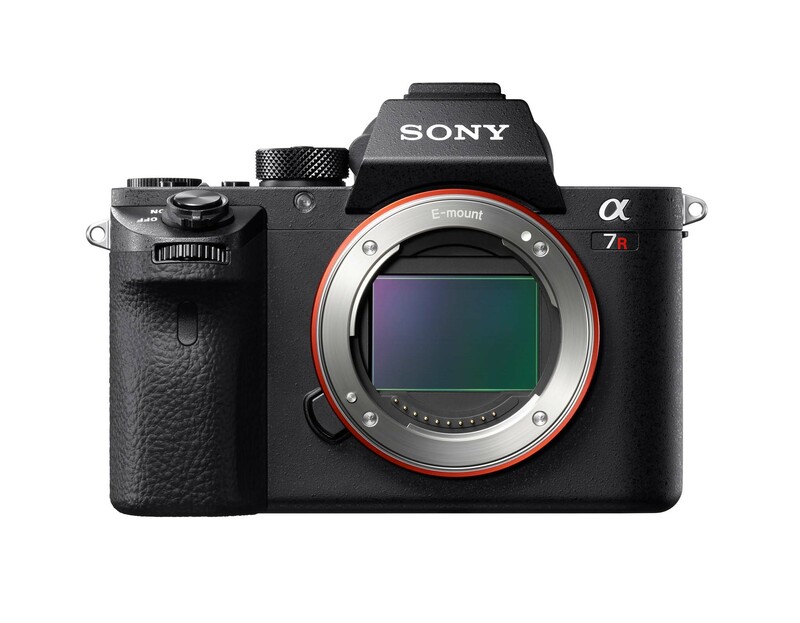 For Full Frame stills, Sony has the E-mount (18 mm FFD) but you just introduced the new a99 with A-mount (44.5 mm FFD). The current FZ mount is 19 mm FFD. So it’s still mounting confusion. If you are talking about an intermediate mount, Sony, Panavision, RED, and ARRI have this. They are quite good at maintaining correct back focus. Yes, but you have to unscrew things, and wouldn’t it be faster and simpler with a quick twist lock like the FZ mount? 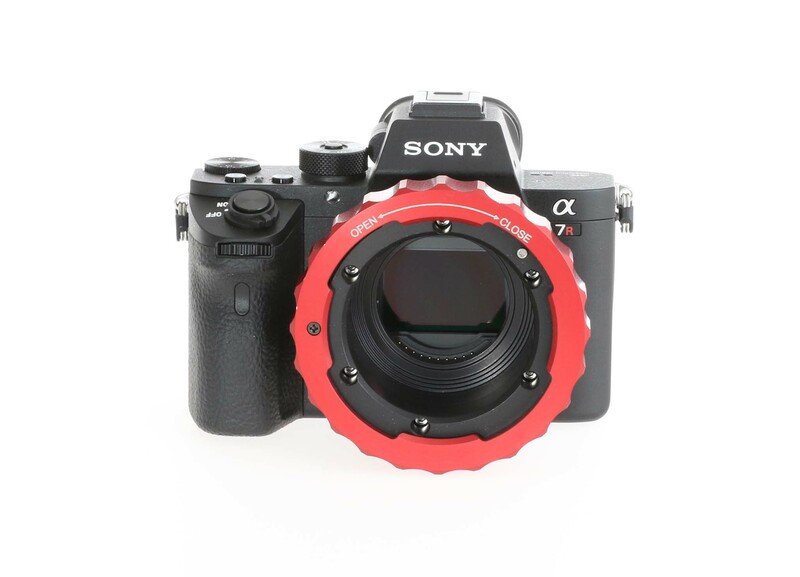 I think it could be good for us at Panavision if we consider that the Sony a7 flange depth, for instance, is probably an ideal depth and the advantage is that we can build the mount out to accommodate 52 mm for PL, or 40 mm for SP 70 or 57.15 mm for PV. That would give us the advantages of all. It gives people more flexibility because you can accommodate the shorter flange focal distances while still adapting to the longer ones. I think that’s probably the way we should all try to move forward, and something around the 18-22 mm flange focal depth range would be good. I’m convinced that we should find a system that respects lenses that already exist in the market but provides a route for the future. The world is digital. Photography and cinematography rely on the computer for post production. It is not only a question of mechanical interfaces, but also digital connections for lens data. We should think about the future and still respect the past, but not bind our hands and our ideas with the past. The best system would not be dependent on how the mechanical and electronic parts function. I think we should have some specifications. The new mount should be able to transfer data, it should be mechanical, and it should be quite robust. We should allow for certain maximum sensor sizes—for example, Full Frame. If we look from the point of view of exact technical specifications, I think everybody starts to have certain claims and say, “Oh, I would like to protect this.” I would just look from an independent point of view for the best customer satisfaction. Talking as a manufacturer, but wearing my hat as somebody who is managing a rental operation that’s using many different types of lenses, I think the standard in terms of metadata is really the Cooke /i system. I think that we need to bring that forward with this new standard, because it already works, it’s universally adopted, and it’s open source. It doesn’t make sense to go back and reinvent a new wheel. I think there are two issues here. One is purely mechanical: flange depth and diameter. The other is metadata or electrical contacts. Maybe we should concentrate on the mechanical for the first step. What is the minimum requirement for proper optical designs for high performance, what diameter is required for the optical design. What flange focal depths are required to make an ideal lens? While we are sitting here at the table thinking about a new standard, there’s a technical point and there is a question about the market and how to convince it to use a new standard. I think that sooner or later we need to also to discuss that, because it may be even more important than the technical discussion. Nevertheless, we also need to discuss the minimum requirements needed for the optical designs of high performance lenses in regard to maximum diameter and how close we need to get to the sensor. Of course, there are also some limitations that come from us as camera manufacturers. It’s not just the sensor. We have optical low pass filters, IR filters, and the cover glass. Built-in ND filters are becoming more and more popular, so we also need some room for that. I would suggest, as a first step, that we write down what is required from the optical design point of view. We may have multiple answers coming from different companies, but I think that would be a good starting point. To pull together a loose specification, I think there is one thing we haven’t considered here and we mustn’t overlook. There are an awful lot of lenses out there and an awful lot of cameras. They’ve all got specific mounts, predominantly PL. How do you think the customer will view this wholesale change of mount because they are now going to have to make some sort of significant reinvestment. How do we persuade the DPs? How about our primary customers, the rental houses? Are the rental houses going to want to make this wholesale change? I think there’s already an example of how that could work. As Jon said earlier, the F55 camera’s FZ mount is delivered with an FZ to PL mount. So a system like this is already out there and people are using it, so it’s nothing new. From my point of view, the shorter the distance we can achieve with flange depth—let’s say 18 to 20 mm— the more flexibility we have for all the legacy and future lenses. So the F55 with its universal FZ mount is a very good example of how to satisfy all the PL customers. It’s actually many mounts in one. And it even has room for motorized ND filters between the lens and the sensor. That would honor the past and would give a bit more freedom for the future. I don’t think it confuses clients or rental houses or customers. The shorter the flange depth we can have on the cameras in the future, the more flexibility we’ll have for the past. We have made mounts to fit Panavision lenses on the F55. You can basically step down: using the same lens that is placed further away from the sensor. It’s been done often in the past, it’s not necessarily new. In fact, if we go way back there were adapters that enabled you to use ARRI’s first standard and bayonet lenses in a PL mount. So history shows that’s it’s been done before. At some point you have to decide whether you need to make the jump. If only one company makes the jump, then the client may be be less inclined to follow along. But if everyone makes the jump, the client will make the jump as well. So, it’s incumbent upon us to explain what the benefits are of that change. Yes, the client has to see an advantage in making the change. If they don’t see an advantage then they don’t make it. What will the client get by making the change to a new universal mount, what’s his win? I think that we are inexorably moving towards lenses that mirror what we’ve seen with still photography lenses since Canon brought out the EF lens mount out back in 1987. These lenses communicated with the EOS cameras, they had motors built in, as well as autofocus and image stabilization. So, that kind of technology is going to come to cinema and that will be one of the things that will be different. As you said, there has to be a big advantage to move to a new standard; otherwise, it won’t happen. Especially because thousands of millions of lenses are already everywhere. If there is a possibility to interchange or adapt to each other, which is already happening right now at Photokina, perhaps there is less need to move to a standard. From Sony’s point of view, we are open to standards, but it has to be a big customer advantage. I have a question for Winfried or Thorsten: how did the PL mount come about? And how did it become an open-source de facto standard? I remember it was in 1983. In those days there were very few cine camera manufacturers. And there were only a few lens manufacturers. It was a rather limited world. These days, it’s more open, especially with digital and data. The mechanical parameters are only one part of the equation, as we have discussed. The influence of digital has created a new situation. Regarding the PL mount: there are two versions. The mechanical version was originally introduced in 1983. Later, with the launch of the Arricam, we introduced a PL mount with electronic contacts. It was called LDS, for Lens Data System. 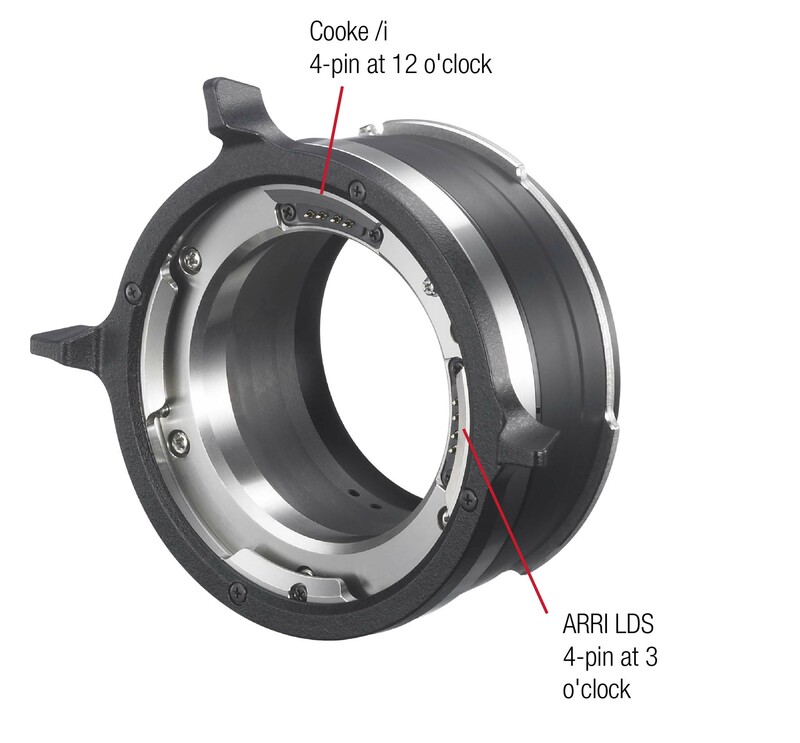 There are currently two lens metadata systems in the market: ARRI LDS and Cooke /i. Our cameras understand /i protocol, so they can work together. The electronic interface is already there. For us, there was never a question of the mechanical PL mount being protected by an expensive license model: it was free, everybody was open to use this mechanical PL mount. If somebody would have asked us to send more details we were more than willing to provide the specifications to ensure that the quality of the PL mount was at a high standard worldwide. When we are talking about standards, I think we also need to talk about the market. Is it the high end market? Does it overlap with the consumer market? And if we establish standards at the consumer level merging with the high end, are we in danger of losing some market share? We are already getting some criticism from this market. I think it’s also worthwhile for us to talk about that. Is it the interoperability of photo lenses that are simply rebarreled for the cinema world? Or are we just talking about the high end? And, does high end mean expensive cameras and expensive lenses? Which market is it? I think it’s everything. There never was a DP who didn’t want to experiment with still lenses on high-end cameras. In fact, wasn’t that an early model for Panavision in the beginning—rebarreling all kinds of different still and cine lenses? And also at ARRI with lenses for the Alexa 65? I would agree that is very much the case. I would reiterate what I said earlier. You’ve got to go back to the Canon example again, the C300 Mark II with its dual pixel technology that helps with focusing. It can benefit from auto focus, as can the C700, and that’s already been driven through Canon’s own internal ecosystem. But the expectations are going to come from elsewhere as well. About electronics: we see many RED cameras with Canon EF mounts and electrical contacts. Many camera crews are using these with wireless lens devices that control not only focus, iris and zoom, but also lens geometry and aberration correction. They are controlling lenses and cameras with Fool Control’s app via iPhone and iPad. At IBC, Sony introduced a new, affordable 18-100 zoom with lens data contacts not only for power but metadata as well. So, my vote would be for all levels of cameras and lenses to be able to talk to each other, from the entry level to the high end, either through intermediate mounts or with a new standard. Yes, very much so, because there’s an enormous cost in the post production process. Cinematographers choose lenses to give their pictures the character they desire. Post production costs so much, sometimes as much as making the film itself, and metadata becomes very important. We promised to keep this discussion to an hour. I would welcome any wrap-up statements. In summary, we should look at this from the customer perspective and not from the manufacturer’s. I think that would be the best approach and would be beneficial for all of us. So…users and readers of FDTimes, please Comment. Use the “Leave a Comment” Box below, or send us an email. Thank you all very much. This was a very productive and interesting discussion. I look forward to hearing from other manufacturers, and especially from cinematographers, camera assistants, operators, rental houses, users and owners. And I think many of us will meet again at InterBEE. Thanks for this great setup for dialogue Jon and to all the people involved. Definetely something like a FZ mount would be ideal as real option for everyone to get on (if not perfect!). But this looks more like a “Cinema Camera” standardization. Maybe another forum with the camera product managers would be the way forward. I’m sure you are on something like this already. I would like to include the Zeiss Contax 645 Medium Format system as part of this discussion. The glass is really beautiful and in many cases there are high numbers of quality full sets available at reasonable prices. Many of the focal lengths have faster f-stops than it’s counterpart Hasselblad focal lengths (i.e. 80mm F2), and I believe the T* coatings are generally newer as well (not including Hasseblad’s newest offerings). There have been a few attempts by individuals (Steel Chen) or companies (Kipon, Fringer) to adapt these lenses to a full frame system, but no one has created a reliable electronic mount yet, or even a mount that allows the use of the full image circle for that matter. Please put this system in the mix. Thanks. I smiled when I read your introduction of the FZ-like adapter Jon- I think this is spot-on. The situation you describe with the mount-change is something I run into constantly and a single mount is never going to happen but a robust adapter system would be a godsend. Good to have an end-user in the room when these things are being sorted out! Ian, Glad to hear you like this idea. Which mounts are you mostly using? For lightweight doc I’m tending towards a set of EF-mounted primes and an EF-mount Canon 17-120. I’m not a huge fan of the EF’s rigidity (although there are some better cinema versions out there now) but the range of available lightweight lenses is key for a lot of my work. The ability to throw an EF mount on that decent Canon cinema zoom allowed me to stay away from PL mount switching for now. I could imagine a world where I install a Fauer-mount (lightweight but beefy, low profile, electronic, FZ-like) on a camera and then keep multiple inexpensive Fauer-adapters attached to the my lenses. While I float through this bucolic dream I delight in the clever removable variable ND built into your mount with an interface shaped like an iris ring with standard gears on it located not too close to the camera body… And a speed booster option for S35 shooting? Genius Jon! The addition of LCD variable-ND filters within EF mount adapters is an interesting development. Testing one today. So excited to see that Fauer-mount at NAB 2017! What an exciting dialogue to be having. I’m infinitely frustrated by proprietary lens mounts, and adapters that throw back focus out. In a perfect world users would choose lenses because of their merits, and not because of how few adapters it would take to get it to work with their camera body. 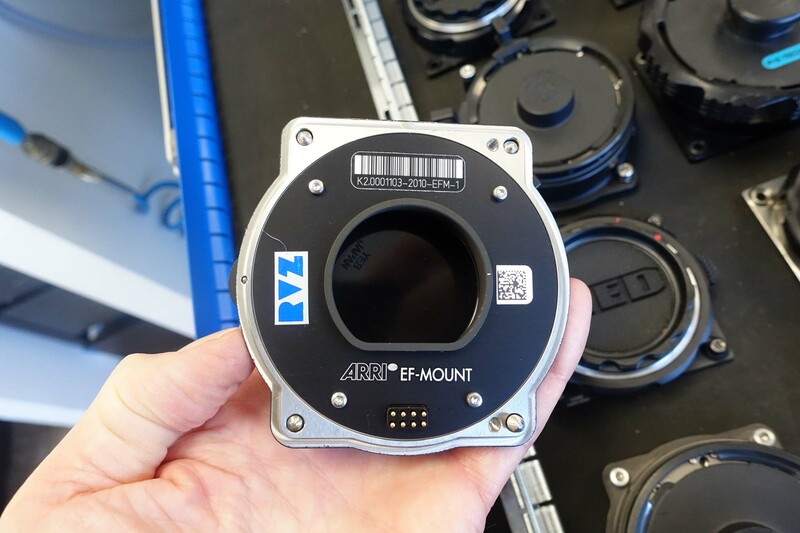 In fact, a standardized mount would probably allow lenses that are quite good to prove it, and not just toil in obscurity because of some strange mount or an adapter that doesn’t transmit metadata. The point Alan makes is very relevant, about a heavy lens on a credit-card sized camera. Obviously a big zoom would have a bridge support, but there are many primes that would just fall off an A7S. On the other hand, there is glass that is appropriately sized and weighted and could be a great combination for drone work and gimbal shots. Still, a small camera shouldn’t necessarily be restricted to small glass, if one just loved the sensor and put it on a studio rig with proper support and everything. 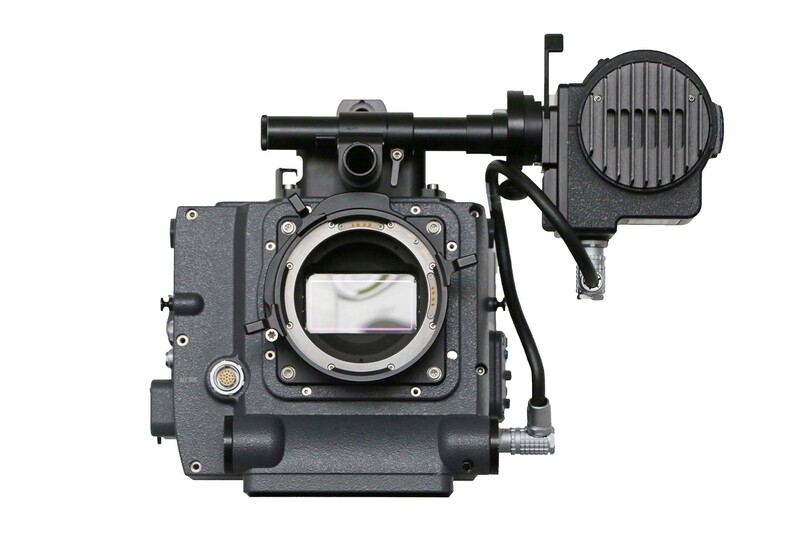 As for a lens mount–I always wished, when ARRI came out with the PL mount on the BL 3 cameras, that they would have used the Mitchell BNC-R mount. The BNCR mount had a large enough diameter at the flange for lenses to have a large rear element group that would be a big help to the designer of the lens optics. In England there were already many stills lenses re-housed in the BNCR mount from long before the Arri PL mount. When Alan Albert and I worked at Birns and Sawyer, we made BNCR lens mounts for BL 2 cameras to be able to use Todd-AO anamorphic lens in the 1970s. Clairmont Camera had BNCR lens mounts for the Arriflex 2-C, then the Arriflex 35-3, the Arri 35BL, Moviecams, Aaton 35, Fries Mitchell, Mitchell R35 (MK II to some), XR35, Mitchell GC rackover camera. I’m sure I must have forgotten some cameras. Today, I suggest it is too late to change all the cameras we already have that use PL mounts, but for cameras that must have a larger mount, to use a lens with a large enough OD and image circle, the mount should be BNCR. All lenses should have a mount that is easily exchanged for another mount. I think the camera manufactures should make their cameras with a front that allows you to easily change the camera’s lens mount to accept whichever type of lens you want to use, including the BNCR. I think that the rental houses and end-users should be considered first in this discussion. They have a very large installed base of lenses. Therefore, backward compatibility to the PL and other existing mounts is important. It seems that the camera manufacturers should enter this discussion, perhaps even more than lens manufacturers. I see some conflicting issues to do with standardization, which depends more on the camera manufacturers than the lens companies. As a lens designer, it would be nice for the lens to be as telecentric as possible at the rear, especially to try to maximize digital camera sensor performance. This, of course, is not always possible. I also think that a large rear element diameter as well as moving slightly closer to the sensor than the current PL standard could be helpful. I would suggest that one of the most important things would be for a standard for the sensor cover glass and OLPF thickness, as well as the distance at which it is located. It seems that almost every camera manufacturer has a different OLPF/cover glass system, and this certainly affects lens design and performance. Camera manufacturers involved with lens design and manufacturing appear to be in the best position with regards to the geometry of the sensor cover and OLPF, probably more so than traditional lens-only manufacturers. The issue always will be clouded by competitive reasons … even when people try to be open and not emotional. I would agree with Iain Neil’s statement. Max telecentricity and max aperture (imagine T 0.7) needs maximium but reasonable diameter and short back focus. With that said, there is a strong need for knowing about any glass in between last lens surface and the pixels. In a perfect world all cameras should have the same material, thickness or should let lens designers know. It’s almost a kind of “miracle ” what combination of layers the bifringent OLPF uses. It always damages MTF, but that is also the reason for inserting it. Also standardisize the glass cover on the sensor is important. All these optical relevant glass/ air interactions need to be standard at the same time as you go ahead with the mount. If I should select a winner, I would prefer a mount similar to FZ with /i Cooke-style electronics. “We need a common standard, whether it’s PL, XPL with a shorter flange depth, or something else. “However, there are tens of thousands of PL lenses in the world. We only have PL lenses (more than 1,000) in our rental inventory. We need to be sure that whatever happens is compatible with PL. With new cameras coming out so often, there is very little return on investment. It’s really our legacy PL-mount lenses that keep the business going.